Your chances to rank just improved! Our Local SEO was already the easiest way to secure your place in local search results, Google Maps and the Knowledge panel, but with our recently revamped way of adding all the important information to your web page, your chances to rank just improved even more! By adding schema data in an innovative, new way, we make sure that search engines like Google get your location and other important information on the fly, are able to combine all that information and serve their visitors the best result for their search. Yoast SEO Premium is the #1 plugin to improve your overall ranking in search engines. It sets up redirects for every page you delete, improves your site structure through internal links and optimizes everything you write. The Local SEO plugin and Yoast Premium work fine on their own, but they work even better together. So our advice? Maximize your chances to be #1 in Google: let both Yoast SEO Premium and the Local SEO plugin work for you. 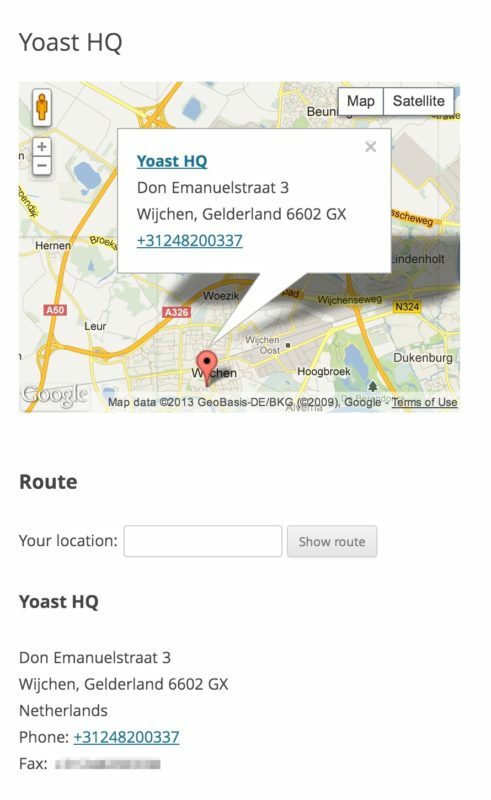 The Local SEO module for the Yoast SEO plugin is being developed in partnership with Uprise, the developers behind GeoSitemapGenerator.com, experts in the field of local search optimization, and especially the technical aspects of it. How many sites will you use Local SEO on?